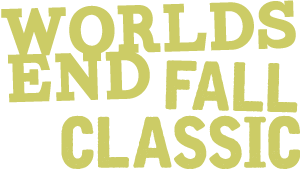 The Worlds End Fall Classic is a 13.2 mile half marathon on 97% single-track/double-track. 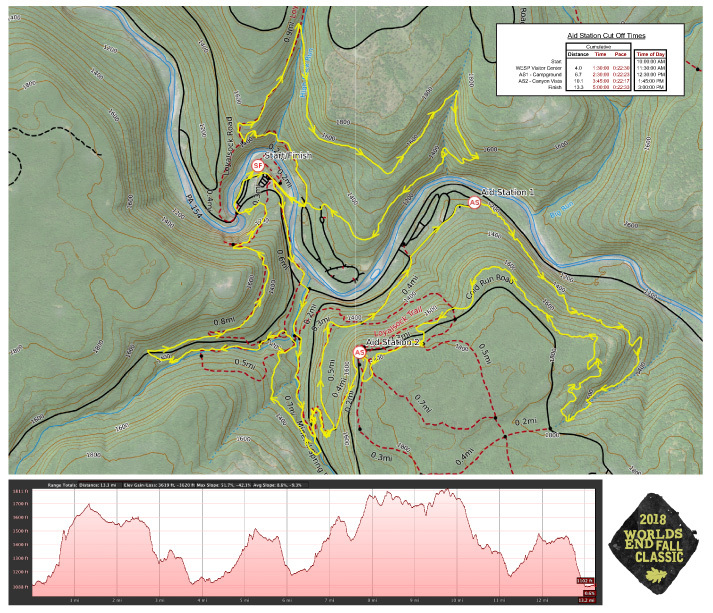 The course has an elevation gain of 3,200 ft with a net elevation change of 6,400 ft. We support you with 2 aid stations and challenge you with a strict 5 hour cutoff. We have a reputation as one of the toughest, satisfying, and most scenic trail half marathons in the state. 2019 Registration Deadline: September 21, 2019. We will refund 50% of your entry fee minus any processing fees until September 21, 2019. Race registrations are not transferable to other participants or future races. Please consider these factors very carefully before registering. Please use your registration profile to request a refund. As it is in many trail races, the Worlds End Fall Classic has its own rules and practices. Please read carefully the race rules and warnings before the competition. No unofficial runners – No bandits (or pacers) allowed. No course cutting – Follow the marked course at all times – it will be clearly marked with orange flagging, directional arrows and orange cones. If you depart the marked course, you must return to the point of departure on foot before continuing. Cutting the switchbacks is cheating, and leaving the beaten path to avoid mud or water is just bad trail karma – please don’t. 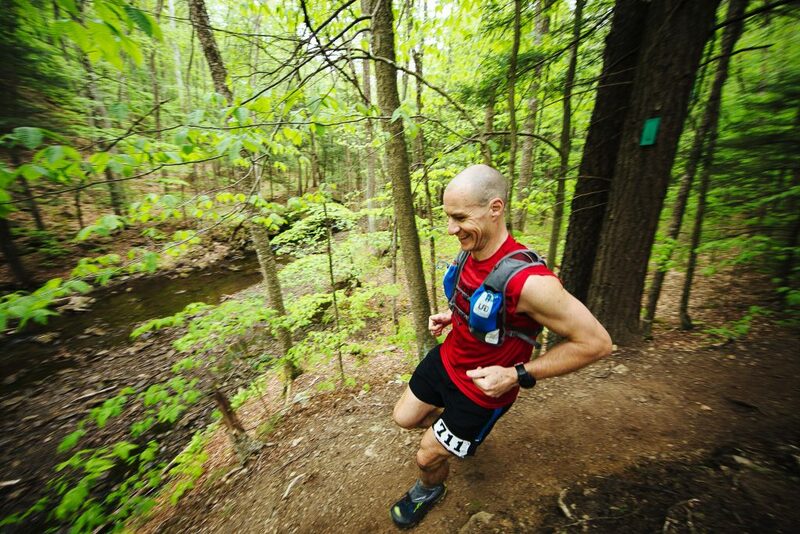 Mandatory gear – There is no mandatory gear needed for this race but we suggest a good pair of trail shoes, a small water bottle and maybe some bug spray. Passing other trail users – The course uses many popular hiking trails, so please be respectful of all trail users and yield as needed. Be careful, courteous, patient, and safe while passing competitors or other trail users. Communicate your intentions clearly (“Passing on your left”), and remember that it’s much more fun when everyone uses their manners. When nature calls – Both aid stations will have bathroom facilities, either a permanent structure or a port-a-john. If you have to pee, find a tree. Anything else, use the outhouse. Accountability – We’ll be tracking your progress around the course – it’s your responsibility to make sure your race bib is visible, and to check yourself (and your pacer) IN and OUT of each of the aid stations (even if you are just passing through without stopping). The communications team at the aid stations will record your arrival and departure, and relay your progress to race HQ. Cut-off times – Aid station captains will strictly enforce the cut-off times that are posted for designated aid stations. Aid station captains also have the authority to pull you from the course if it is clear that you are physically unable to continue in a safe manner. Their decisions are final, and if you refuse to vacate the course when directed, you’ll be disqualified. Do your homework – Go online, read and understand all the available information concerning the 3 W's of the race; the what, the where, and the when. The time put into developing a race website and writing pre-race emails are for your benefit, and you alone are responsible for knowing this information about the race before race day. If you have a question, please email us, no matter how silly you think it is. You are paying to race – When you sign up for a race, you are signing up to run/race at the event. When you show up at the event, we guarantee to provide a race bib, event timing, start line, a marked course with aid along the way, finish line, and results posted online through our timing company. Anything not listed above is a bonus provided by us and is not included in your registration fee. We have an obligation to our participants who actually show up to the race. If you do not show up, we owe you nothing. A colorful and witty course description written by someone who doesn't take running through the woods too seriously. We advise you to memorize this description and execute it exactly as it is written on race day. Then and only then can you truly appreciate the race as it was meant to be run. Cheers! The race will start by leaving the tranquil Cliff Pavilion start/finish line, down the walking path and turning left up the main park road. Wave at the spectators as you pass the Visitor Center then drop down to the bridge crossing the Loyalsock Creek. Immediately after the bridge, we get down to work by hanging a hard left to the start of High Rock trail. This trail head is shaped like a V, you will stay to the left and return from the right. Now they don't call it High Rock for nothing as you will need to negotiate some really fun boulder scrambles and pick your way through rock gardens while continuously climbing for the next mile. Don't forget to take in the view from High Rock Vista before turning right to continue your climbing! We suggest that if you want to beat the conga line that forms as you make the first climb, lay down some 6 minute miles on the road to get ahead of everyone. 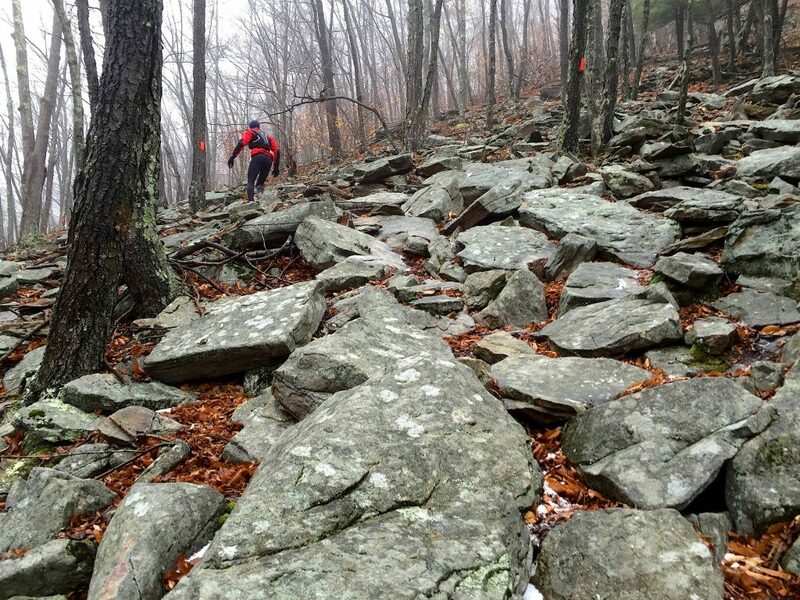 As you approach the top of the climb, you'll hang a sharp right, drop down and cross High Rock Run, then traverse the yellow blazed service trail along the side of the ridge. Hammer this smooth, gradual descent that connects you to the infamous Butternut Trail if you are looking to make up some time. Head left as you hook up with Butternut and chew up some more smooth(ish) singletrack to the next overlook. Once past the overlook, you better hang on as the trail drops out from beneath you for just a moment. 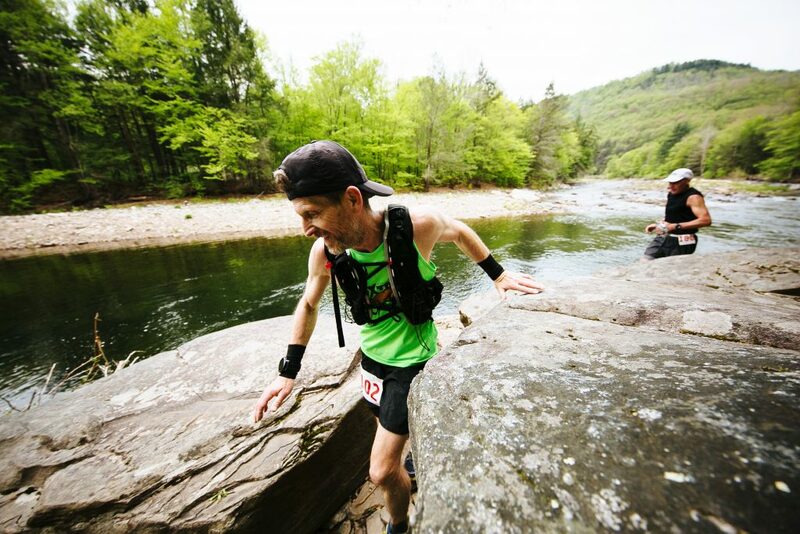 The Worlds End Ultramarathon takes you up the brutal rock gardens of the Butternut Trail but this time, it's a super fun, rocky descent back to the beautiful Loyalsock Creek. Once your back down to the V trail head, you will pop out to the road, hang right, cross back over the bridge and then up to the Visitor Center. Take the stone steps up to the Visitor Center, turn left, and then head behind the Visitor Center to smell the flowers as you hop on the Link Trail and descend for an up close and personal view of the Loyalsock Creek. As you leave the banks of the creek, you need to cautiously cross RT154 and work your way up the beautiful Double Run Nature Trail. Take in the views of Double Run but keep alert on where you're going as you'll shortly arrive at a mad junction of trails where you will need to turn left and then right to see the beautiful waterfalls of the Link Trail. Don't cross the bridge going over Double Run!! 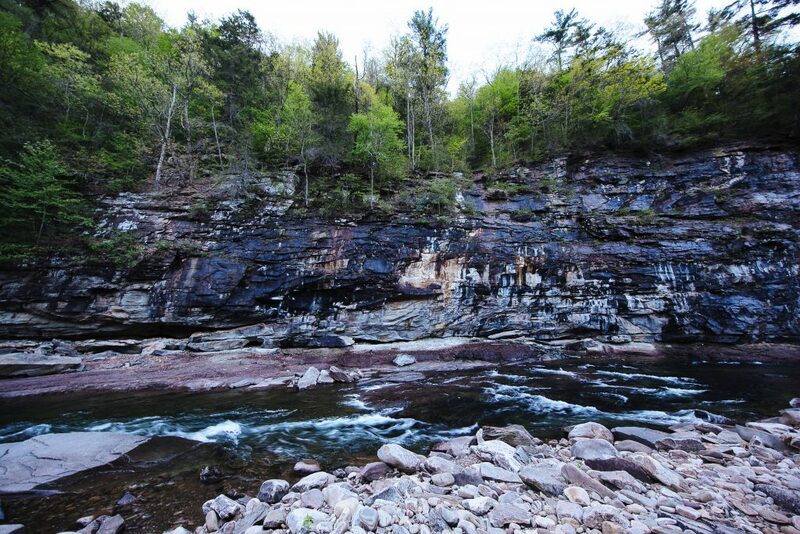 As you reach the top of the cascading waterfalls, you will be on the short section of trail that you double back on. Take a left, cross the road, start up the mountain until you reach the big rock in the middle of the trail, then turn left again. You will see arrows directing you and we may have people yelling at you to go the right way! If you go the wrong way, be prepared to be bombarded with insults and the like for not following their directions! Once you have made that left at the big rock, you are now on the blue Canyon Vista trail! Run hard from here to the campground, as it's all level or downhill and not too technical. I would suggest that you don't forget to take in Warren's Window along the way, named after famous local trail builder Warren Renninger. Down to the campground road, turn right and make your way over to the first aid station! Unlike the first major climb up High Rock Trail which starts you off very steep and slowly relinquishes its mighty death grip, Canyon Vista Trail will feel like it just won't let up. Leave the aid station at the state park campground, pass through a set of campsites on a connector trail, then re-link with the Canyon Vista Trail. Once you're headed up the mountainside, buckle down and hold the cursing to a minimum. Before you reach the top of the climb, you will be rerouted to the yellow Cold Run trail to be rewarded with some neat geological features. Remember Warren's Window? Well, this trail was dug in by Warren in 2017 and offers up some very cool views, rock formations, and other surprises along the way. Once you reach the end of Cold Run Trail, you'll reconnect with the Canyon Vista Trail for some more surprise rock formations, and eventually up to the "round-a-bout" where you will turn right. This is where the Loyalsock Trail, Link Trail and Canyon Vista Trail merge and routes you to the gorgeous Canyon Vista. Before we reach the view though, how about some more large rocks to play around on? Feeling like a kid again yet?? Well, I guess it's time to get off the mountain and head towards the finish! Follow the Link Trail down the mountain but be warned, the narrow trails and sharp drop-offs can be quite daunting at full running speed. Pass the Canyon Vista Trail junction and continue straight until you cross the gravel road. Look familiar? It should, this is where you came up from the cascading waterfalls on the Link Trail. But instead of following the Link trail back down, you'll go straight, cross Double Run, and hop on the East Branch Trail. Blast this stretch at full speed because, well, it's a blast! Soon you'll reach Double Run Trail and you'll hang a left up the other side of Double Run. Now soak in the gorgeous waterfall views along the west branch of Double Run before it's too late, you're nearly to the finish now! The trail soon makes it's way up to Worlds End Road, cautiously cross the road and head down Pioneer Road. It may be called a road, but it's really a trail like Woods Road Trail. Stay straight as Pioneer Road reconnects to the Loyalsock Trail and follow the Loyalsock Trail back down to the edge of the state park. Once you reach there, you'll turn left, descend to the beach, cross under the RT154 bridge and head back to the finish line along the edge of the parking lot. 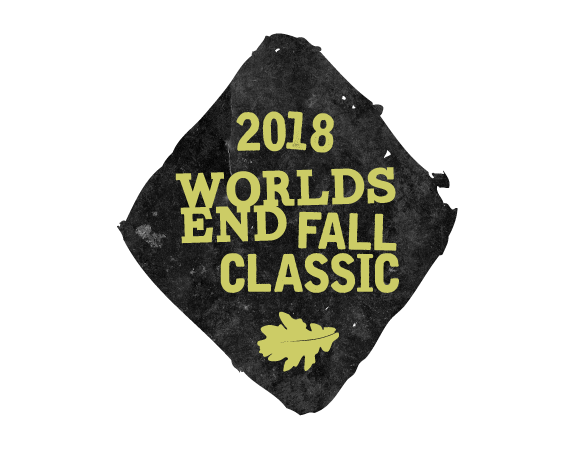 Congrats, you survived the Worlds End Fall Classic!